Painful cost-cutting and rising sales to automakers helped the nation's largest aluminum producer return to profitability for the first time in nine months. Alcoa Inc. on Wednesday also forecast an 11 percent increase in worldwide aluminum demand in the second half of the year, fueled partly by robust growth in China. The lightweight metal is used in everything from airplanes to cars to houses. Even though Alcoa reported a 71 percent drop in third-quarter profit from a year earlier, the results were a relief after three straight quarterly losses. "We do clearly see growth, substantial growth ... in China," Alcoa CEO Klaus Kleinfeld told analysts and reporters after the company reported results. "(The) second half of the year is clearly better than the first half in many industries and many regions." The Pittsburgh-based company said rising demand from several industries, especially automakers, lifted its revenue compared with the prior three months. Sales to automakers jumped 21 percent from the second quarter. Although North American auto production dropped 20 percent in the third quarter year-over-year, the aluminum content in vehicles may have risen as automakers move to meet higher federal fuel economy standards by making cars and trucks lighter, said Michael Robinet, a vice president at CSM Worldwide, an auto industry consulting firm near Detroit. Investors cheered the news, sending Alcoa's shares up 5.9 percent in after-hours trade. Alcoa earned $77 million, or 8 cents per share, for the three months ended Sept. 30. That compared with profit of $268 million, or 33 cents per share, a year earlier. Revenue tumbled 34 percent to $4.62 billion from the same period a year earlier, but was up 9 percent from the second quarter of 2009. The latest results partly reflected intense cost-cutting by Alcoa. The company was forced to slash thousands of jobs, sell businesses and curb production as aerospace, automotive and construction companies cut their orders late last year amid the global economic downturn. That pushed up stockpiles of the industrial metal and forced down prices. Alcoa has cut about 20,000 jobs since the downturn began and currently employs about 63,000 people. It's also reduced its production capacity by about 20 percent. But just last month, Alcoa boosted its annual forecast for global aluminum consumption, citing stronger demand from China. Prices for the metal, which strongly influence Alcoa's fortunes, rose about 20 percent to an average of about 80 cents per pound during the quarter compared with the prior three months. But they remained well below record levels of about $1.50 reached a year earlier. Excluding restructuring charges, Alcoa's earnings in the latest quarter amounted to 4 cents per share, easily beating expectations of a loss of 9 cents per share on revenue of $4.55 billion. Wall Street typically excludes one-time charges in its estimates. 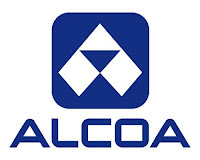 Shares of Alcoa climbed 82 cents to $15.03 in after-hours trade.